If you are new in the world of vaping, knowing how to choose the best Kanthal wire for your needs can be difficult. Before you make a decision, there are some aspects that you need to consider and that will allow you to understand what is the right Kanthal for you. 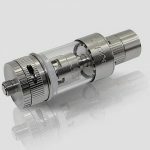 A lot of users are opting for drip instead of using a regular atomizer. With dripping there is not a continuous flow of e-liquid going to the wick, but instead, you drip a few drops of e-liquid directly on the coils and wicks. However, this increases the amount of e-liquid that is used. RDA stands for Rebuildable Dripping Atomizer and it is a type of atomizer that is becoming very popular. There are some basic principles that need to be considered before choosing the right Kanthal wire for your needs. First of all, we should start by understanding more about kanthal wire. Kanthal wire is composed of ferritic iron and chromium-aluminum allow and it is used to create the coils that are used when you vape with mechanical mods. The wire can be used in two different ways for RDA and RBA. In this article, we will focus on the best options for RDA configurations. RDA stands for Rebuildable Dripping Atomizer and it is the most popular option in the market at the moment. Since you need to rebuild them, as time passes by, if any issues arise, you will be able to solve them. One of the things that you need to keep in mind is that the wick and coils have to be changed. It is possible to buy coils, but in some cases, the best option may be to get your own wire and create your own coils. This can help you to save money, although you will need to know what is the best kind of wire for your RDA. In order to know this, you need this understand how kanthal wire works and the way in which you vape. This will allow you to get the right solution for you to ensure a safe vaping experience. 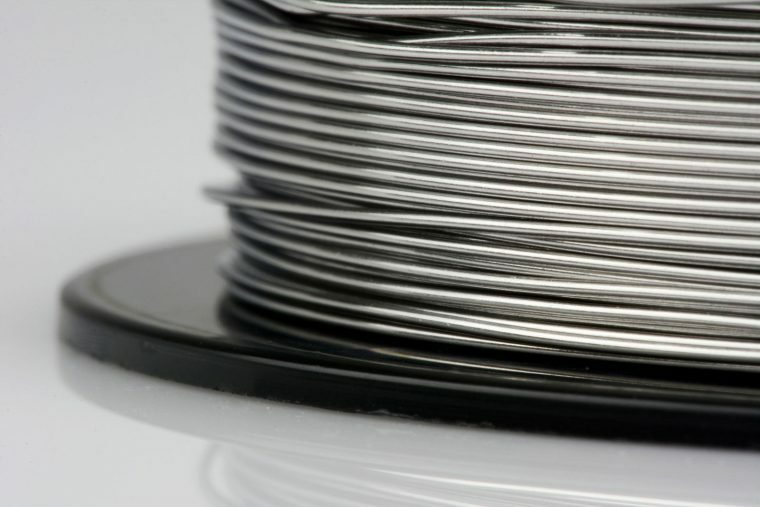 When it comes to the Kanthal wire, it is important to focus on the diameter of the wire. A thick wire requires more coils for the same resistance. A finer wire needs tighter coils that can provide higher resistance when vaping. This is the most popular wire and it is .20mm in diameter. You can get 1.8 to 2.0 ohms of resistance with five or size wraps around a 2 mm pin. This is a wire that is used by many manufacturers who rely on it for their single coil design. In addition, this is a wire that works on almost all RDAs and RBAs, which makes it a good choice if you are not sure what to use. However, if you have a steel or mesh wick, the AWG 32 would not be the right solution. It should also be noted that it easily pops out. This is a fine wire with a diameter of 0.15 mm. You can have a resistance of up to 3.2 ohms with only five or six wraps around a 2 mm pin. It is possible to get 1.8 -2.0 ohms in a short coil. Working with the wire can be difficult so it may not be the best option for someone who is just getting started or who wants a hassle-free solution. You would need to be very careful to avoid breaking the wire. This is another option that can be considered when it comes to choosing the best Kanthal wire for your vaping needs. If you intend to vape around 1.5 to 1.8 ohms, then the AWG 31 is the best choice. The wire measures .22 mm in diameter and it lets you cover more surface area on larger diameter wires. One of its main advantages is that it is a durable solution. In addition, it can be used on all atomizers, which makes it perfect for RDAs. This wire measures .30mm in diameter and it is a good choice for a wide selection of tanks, but you need to vape at lower resistance. It would not be the best option for RDAs, but this depends on the resistance that you want to run your RDA at. In general, this wire lets you build coils that offer the best performance at .8 ohms. It also allows the wick to be heated quicker and better than what you would see with different wires. With a resistance of 1.3 ohms or above, the AWG 20 won’t offer good performance. This works at .32 mm in diameter and it works best for mechanical mods. If you want to vape below 1.0 ohms, the AWG 28 would be a good choice. The AWG 28 offers good results when you vape at ohms that are as low as .4 ohms. It is a very easy option to set up, which makes it perfect for beginners. In addition, it covers a large amount of surface area. The Kanthal D Ribbon stands out for being an extra thick wire that works better for solid setups, otherwise, you would get dry hits in some cases. The Kanthal D Ribbon works well with a variety of atomizers without popping or shorting. The type of Kanthal wire that is used for your RDA depends on the build and set up of the RDA. You will find that there is a wide variety of set ups that you can find and explore. Let’s take a look at the options available. With a silica wick set up, the Kanthal wire offers good performance. You will find a variety of patterns and shapes that you can use with the Silica wick and Kanthal at the same time. The most common ones are the S shape and the U shape. There are many options that you can try when you combine these two materials. In addition, it is possible to get a lot of vapor clouds with this set up, which is something that many vapers prefer. Ekowool features a texture similar to rope and it is best suited as a wick. It can be used in different shapes and styles. The wick will remain intact and last longer than the silica wick, making it a good choice for heavy vapers. It also delivers enjoyable flavors and massive clouds. This is the best option for those who want the ultimate flavor experience. When you use cotton wicks with the Kanthal wire, you will enjoy an amazing flavor experience. The flexibility that you can get from this combination is another good reason for opting for this setup. You will be able to enjoy a variety of vaping stiles. While it is possible to use cotton balls, in order to get the best flavor, it is advisable to use organic cotton wicks. It is important to keep in mind that there are some risks associated with vaping if you don’t know how to do it correctly. There are some safety tips that you need to keep in mind. In order to avoid getting your lips burnt, it is important that you use a heat resistance drip tip. Keep in mind that you shouldn’t use a higher wattage or the wrong ohms for your RDA. In addition, you need to clean your drip tips clean and maintain them on a regular basis. These measures will help you to enjoy a safe vaping experience. Choosing the right type of Kanthal wire for your RDA can be challenging, but the main thing to consider is your personal vaping preferences. Ensure that you select the wire that better works with your own needs. It is also important to keep in mind that some RDAs only work at specific wattages or ohms. In order to choose the right Kanthal wire, you need to know the wattage and ohms you want to vape at and understand your RDA so that you can decide which type of wire suits you best.